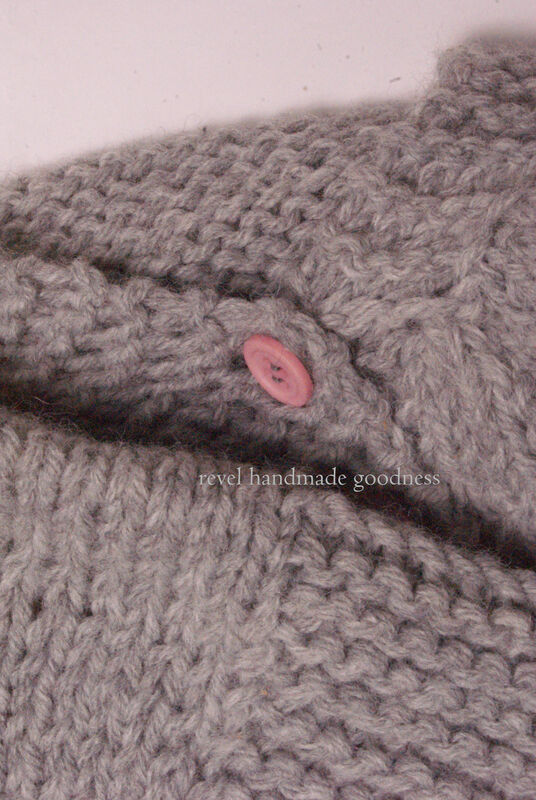 pretty, useful things sewn and knit from new and recycled materials. My number three babe turned seven in November, and thanks to the Christmas rush, I was completely swamped with orders, so I’m a teensy bit behind on his birthday sweater. And by “teensy bit”, I mean two.entire.months. I just finished up knitting a slouchy sweater with a bajillion tiny cables (yes, I counted) in a fantastic new yarn by Sirdar, called Hayfield Chunky with Wool in the Hollyberry colourway. 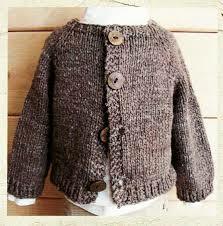 It’s a lovely bulky weight wool/acrylic blend, which makes it rather ideal for a child’s sweater. It’s not itchy, and there’s enough acrylic in there that if it gets accidentally run through the washer and dryer, the world won’t end. The pattern I’m using is “Ragman” by Heirloom Stitches. You can purchase the pattern here or on Ravelry. Sadly, none of my photos are coming out even remotely like the actual colour. I promise you a lovely photo of the finished product… The little mister will think it is good fun to have a photoshoot outside, in the freezing cold, in just a sweater. This entry was posted in blog and tagged customizable, handknit, support small business, sweater, wool, wool blend on January 20, 2014 by Pamela Dayton. Our Sweet Baby Cardigan is a long-sleeved sweater, handknit in an acrylic-wool blend, making it an easy to care for addition to your sweet one’s wardrobe. This sweater is size 0-3 months. 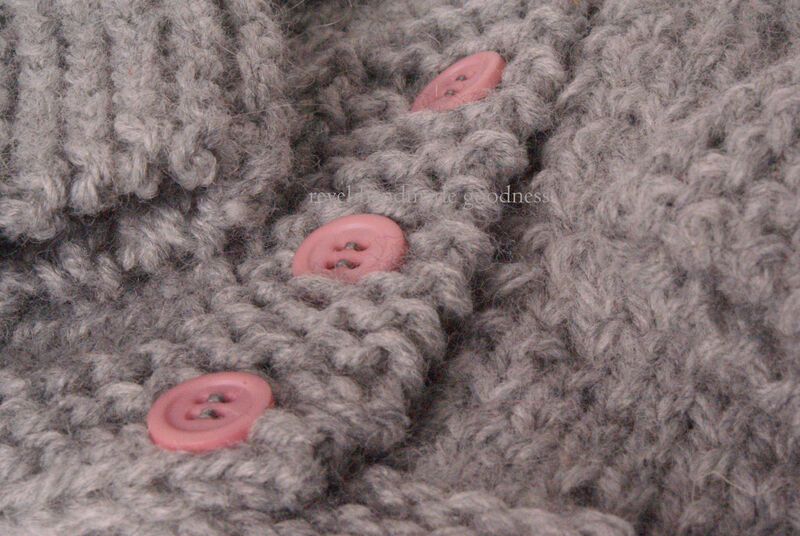 Larger sizes and different buttons are available upon request. This sweater is machine washable/dryable, but like all handknits, it will be an heirloom piece if you handwash and lay flat to dry. Shipping: $6. Combined shipping available for additional items. Insurance and tracking available for additional cost upon request. Like the pattern but need a different colour or fibre? Click here to order, or leave me a comment below. This entry was posted in for baby, handknits, store, sweaters and tagged baby, grey, handknit, handmade, machine wash/tumble dry, sweater, wool blend on March 2, 2013 by Pamela Dayton. i love my job. really.